Azerbaijan is a country you can come to learn over and over again. For each of your visits to the ‘Land of Fires’ to be enjoable and interesting we have prepared various types of tours: it can be a sightseeing holiday, a weekend stay tour or, for example, a voucher to a ski resort. It is up to you. Azerbaijan. A country with its history, its culture, with its character. And to every guest it opens up from a special side – the one from which the traveler wants to see it. Are you planning a family holiday? Summer trips to hotels in the Caspian coast are a perfect choice. 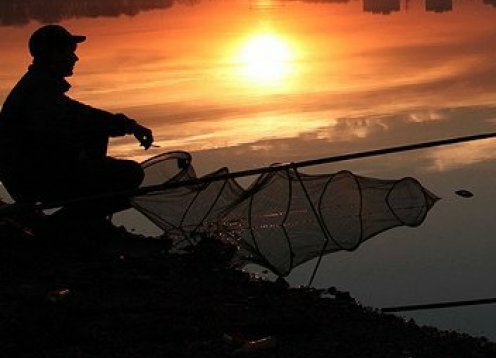 One may go to Azerbaijan for fishing or pheasant hunting — inpidual tours of the country’s rivers and forests will help you make your dreams come true. Do you like active sports holidays? Mountain climbing or ski mountaineering are a perfect choice. Sightseeing tours. This this an ideal choice if within a short span of time you want to come to know as much as possible about the country. Azerbaijan is a country which it is impossible not to fall in love with. And the more you know about the country, the deeper your love is. 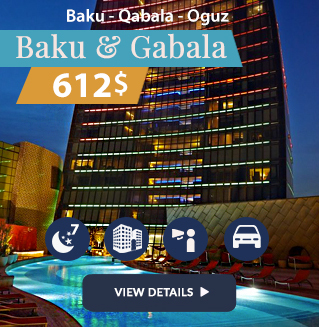 In just a few days within a sightseeing tour you will visit Baku and Gabala, appreciate the efficiency of treatment in Naphthalan, swim in the warm Caspian Sea, and go skiing. You can make your own holiday program, or you can rely on our experts. Ski tours. 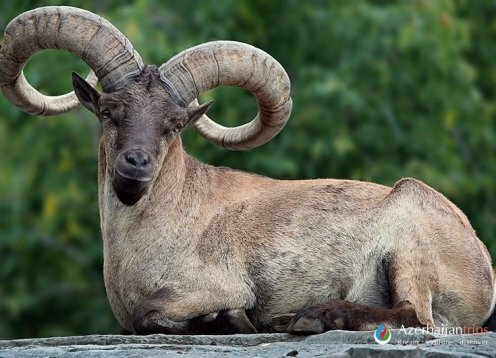 You are in for unique mountain scenery, high level of service of the most popular Azerbaijanian ski resorts, ‘Shahdag’ and ‘Tufandag’, and a lot of adrenaline. You will not forget this extreme travel for a long time and certainly will come here again and again, because you easily get used to good things. Excursion tours. There may be group and inpidual ones, one-day bus tours or tours for a few days or a week. 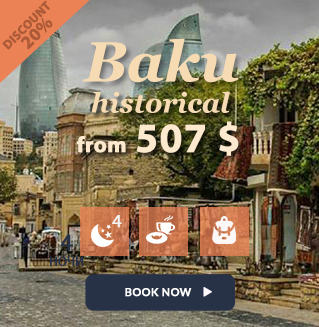 In any case, within the tour you will get acquainted with unique architecture of Azerbaijanian cities, with cultural sights, historical monuments. 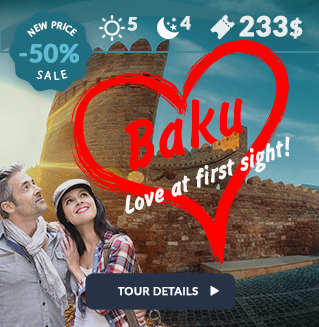 Choose popular tourist routes, or develop your own ones – Azerbaijan will gladly share all its secrets with you. Historical tours. Each region, raion of Azerbaijan has its own history. Sometimes it is a short story that can be told within a few minutes, but more often this is a huge flow of interesting legends, events woven into an entertaining story. And it is more interesting to listen to this story when there is an opportunity to see the palaces and temples, mosques and Caravanserais, baths and tea houses on your own. ‘All Inclusive’ tours. This is an excellent choice if you want to enjoy the trip, but do not want or can not organize it on your own. All that is required from you is to tell us about your wishes, and we will do everything for you: we will arrange an international flight from Moscow or any other city (if necessary, also domestic flights in Azerbaijan), book a cheap hotel or sanatorium room, arrange excursions. Choosing a tour on our website, you can focus not only on the holiday style, but you can also be guided by other criteria. For example, the cost. Do you want to save money without sacrificing the quality of your holiday? Then choose the last minute tours. The time of the holiday can play an important role here. Are you going to Azerbaijan in winter? Ski resorts are at your service. In autumn or in spring take a look at the best shops of Baku and other big cities within Azerbaijan’s shop tours or taste the best local cuisine, buying a culinary tour. 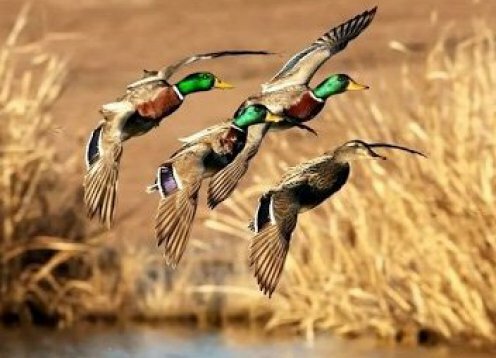 With Azerbaijan Trips website any of your dreams will come true. Do not put off till tomorrow what can be booked now. We are waiting for your orders!